Thanks so much for being part of this giveaway. 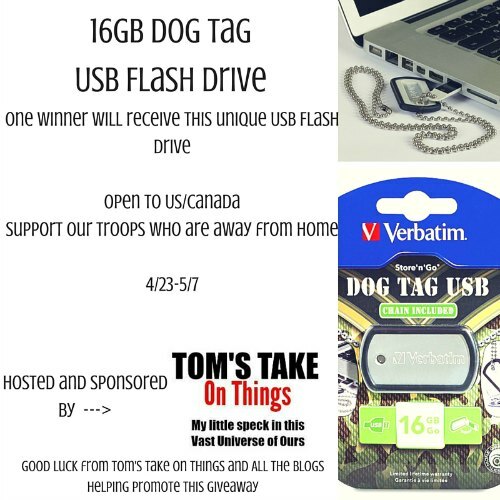 Tom over at Tom’s Take On Things wanted to offer this prize and allow me and a few other bloggers the opportunity to give you a chance to win this. Tom is a veteran of the U.S. Army, and a retired Paramedic of 23 years. He wanted to offer this unique novelty flash drive, and to have you share your thoughts if you have a family member that might be in the military, or who has already served. If not, that is okay, you can still enter to win it! So how can you win it? Just be 18 years of age or older, a resident of the U.S. or Canada (void in Quebec), one entry per household (except for daily twitter options). Winner will be selected and have 24 hours to respond to winning email, or another winner will be selected. Tom’s Take On Things is responsible for prize delivery. Participating Blogs were not compensated for this post. No, I’m not a Veteran but I do appreciate and highly respect the ones who are. My dad and father-in-law are veterans. My husband is currently serving in the military. I am not a veteran but many family members have served. No I am not, but I have many family members who have and some are still serving in the military, from Marines, to Navy , and Army, also my husband was in the Navy, RIP Joe.. I am a veteran of the Navy, my husband was a Marine, my brother Air Force. I could go on and on! Military service is a constant in my family. My husband is a combat veteran. He would love this product. Not a veteran myself but brother, sister, cousin, g-pa’s are all vet’s and I am so proud of them! I have to sons who have served in the Marine Corp and a nephew who is in the Army! I am not a veteran, but several of my cousins are in the Marines. Thanks for the giveaway! I think this is a great giveaway! 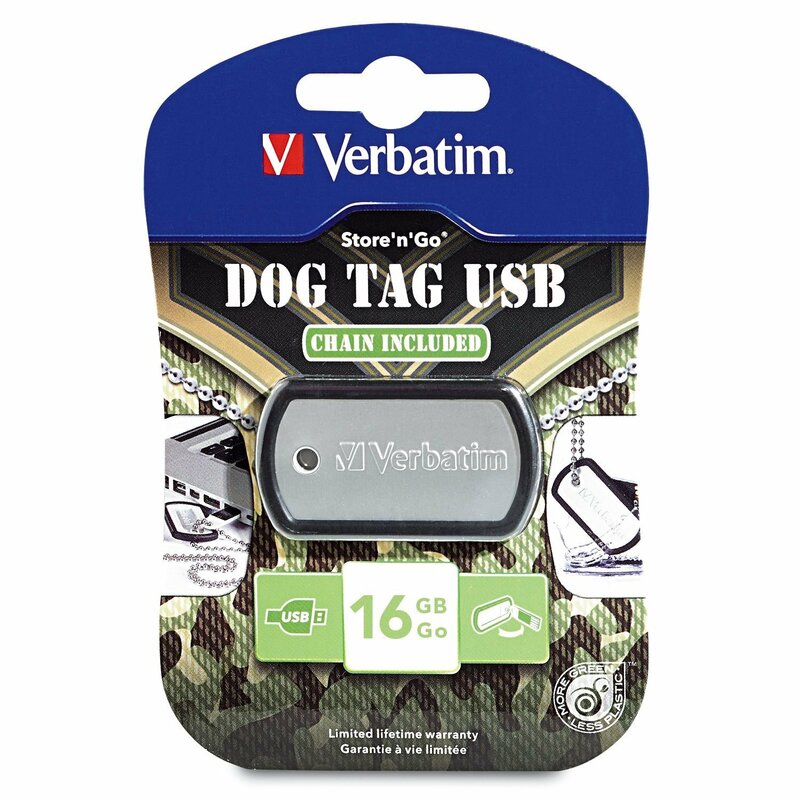 I use ‘dog tag’ shaped ID tags with my message & contact info on them: “Please call my dog sitter: ___________________________”. I’d love to use this as a ‘enter-to-win’ object for my pet parents. I served for five years in the army. I am a Veteran, I proudly served our country and would do it all over again, it was an honor protecting our county for our freedom and our way of life. My stepfather was a secretary in the navy. My grandfather, who died over 20 years ago (WOW) was a higher ranking official who ran a POW Germany camp on US soil. I have family that are veteran. I am not a Veteran, but I know a number of people who have served including my Grandfather, Who was injured on the beach on D-Day.